Ahi USA didn’t reinvent the wheel. They just enhanced and armed it with the best colors, finishes, and configurations this time tested producer has ever seen. 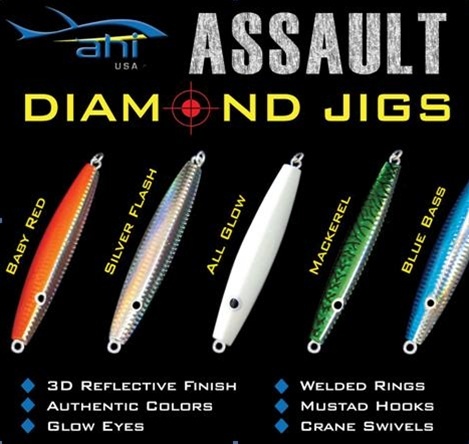 Assault Diamond Jigs come with a state of the art 3-D holographic reflective finish.